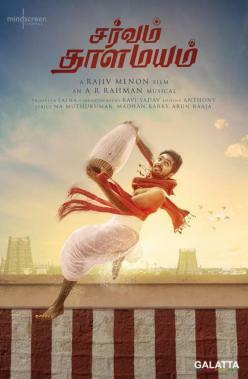 A film that has all A. R. Rahman fans quite excited is the upcoming musical, Sarvam Thaala Mayam, starring the Acadeny Award-winning composer's nephew G. V. Prakash Prakash in the lead role. With Aparna Balamurali playing the female lead to the composer turned actor GV Prakash in this A. R. Rahman musical, Sarvam Thaala Mayam has now been announced to premiering at the 31st Tokyo International Film Festival. This distinction wil no doubt come in as a big morale boost for the entire Sarvam Thaala Mayam team as the film will be premiering at the 31st Tokyo International Film Festival before it comes out as a theatrical release.